Consultations will be conducted by Jon Carlson who is the founder of the Vitalist School of Herbology in Oregon and has over twenty years of experience in herbology and traditional Chinese medicine. Please see #2 in our FAQ section to better understand the importance of seeking consultations for your herbal needs. After signing up for our consultation service, you will be emailed detailed instructions and an intake form that will allow your practitioner to gather information necessary to help determine the correct herbs for you. If you have any questions please call us or send us or contact us through our support page and somebody will get back to you. A full and comprehensive consultation of 2 - 3 hours of phone consulting including a comprehensive pre-consult evaluation. 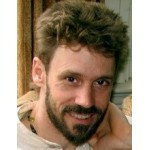 Consultation will be with Jon Carlson who has over twenty years experience of herbal and Chinese traditional medicine. Intended for follow-up questions after a standard or complete consult has been completed.